﻿ What is the difference between SFP+, SFP and XFP? What is the difference between SFP+, SFP and XFP? SFP, SFP+ and XFP are all terms for a type of transceiver optics that plugs into a special port on a switch, router or other network device to convert the port to a copper or fiber interface. The commonly used SFP, SFP+ and XFP are all with LC connector. SFP and SFP+ with an identical pinout that is different with XFP optics. Both SFP+ and XFP with DDM function as default, whereas SFP partly support DDM function. SFP and SFP+ with a similar form factor dimension,hence looks like the same. SFP optics usually support 155Mb/s,1.25Gb/s to 4.25Gb/s while SFP+ ones supports data rates up to 8.5Gb/s and 10Gb/s. SFP is for Fast Ethernet ,Gigabit Ethernet,1x/2x/4x Fiber Channel and SDH/SONET with data rate below 2.488Gb/s applications. SFP+ for 10 Gigabit Ethernet,10G SDH/SONET applications. 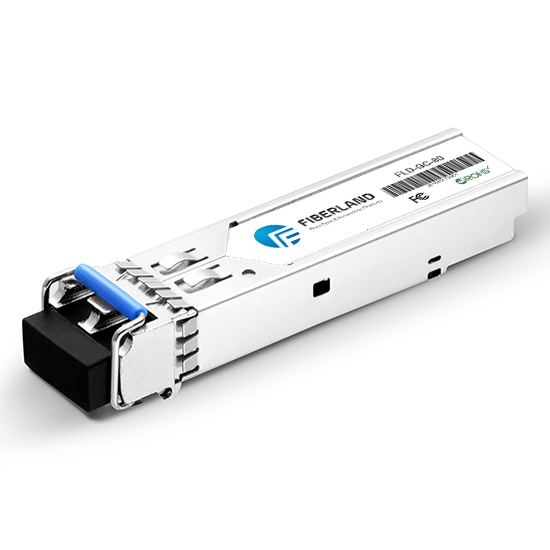 SFP is compliant with IEEE802.3, INF-8074 and SFF-8472 while SFP+ is compliant with the protocol of IEEE 802.3ae, SFF-8431, SFF-8432. XFP is a separate standard that also supports 10Gb/s speeds for applications of 10 Gigabit Ethernet, 10 Gbit /s Fibre Channel, Synchronous optical networking (SONET) at OC-192 rates, Synchronous optical networking STM-64, 10 Gbit /s Optical Transport Network (OTN) OTU-2, and parallel optics links.4. The primary difference between SFP+ and the slightly older XFP standard is that SFP+ without chip for clock and data recovery that makes an SFP+ smaller than an XFP, enabling greater port density.